Your local SERVPRO of Wheaton / Glen Ellyn / Lisle responds to property damage, cleaning, mold remediation, and all types of problems at your home or office. We are a local restoration company with a regional and national collection of resources. You can count on a fast response by a team of experienced, compassionate professionals to respond and assist you during a water, fire, or other emergency event. 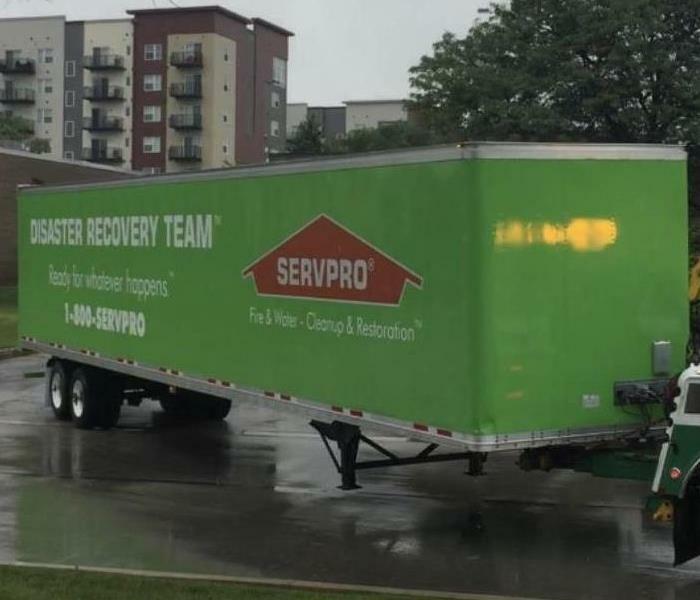 The team at SERVPRO of Wheaton / Glen Ellyn / Lisle is part of the Disaster Recovery Team, as well as a member of the Extreme Response Team, for SERVPRO at a national level. These designations carry with them a significant point. Not just any restoration company, let alone any SERVPRO, is part of these groups. You earn these designations through years of responding to emergencies, completing jobs in a timely, professional, and in a quality manner. You earn membership in these groups through quality work. And that is what you can expect when you call SERVPRO of Wheaton / Glen Ellyn / Lisle.